Here we are again at the end of another month! It's time to link up your favorite projects that are hanging "at the end of the hallway". I finished my last bee block the other night. I've decided not to join any bees for the next little while. I just need a little break. Although, it has been a fantastic experience. I've done so many blocks I never would have chosen to make. I'll join another bee down the road, but I need a little time off. This is my last block of the year, completed for Lee from Freshly Pieced. I love how the block turned out. It's simple, and the colors she chose are great. 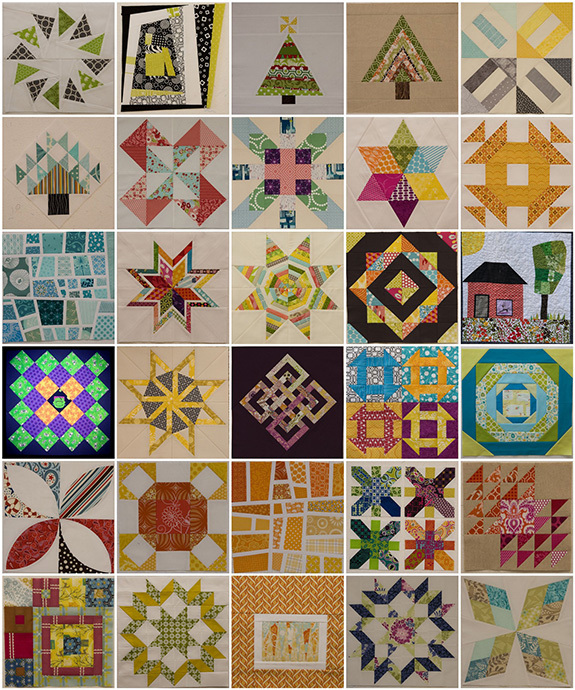 It's going to make a very fun star quilt in the end. I had fun last night going through all the blocks I've made over the past couple years. Here are many of the blocks I've created during my time in three different bees. Now it's your turn. 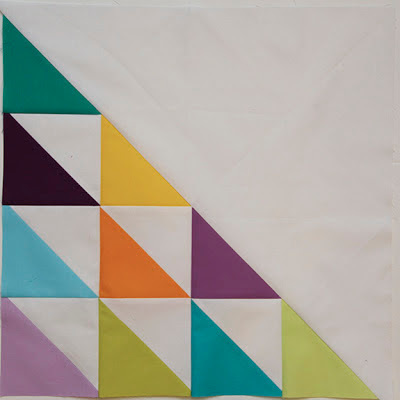 Link up a favorite project for the month of November! Those are some stunning blocks. Thanks for giving us the chance to share the things we've made. How fun to see the mosaic of all your bee blocks! I haven't joined one yet but that is something I was thinking of doing in 2013! Ok, you are making me want to step up and try something crazy! What a lot of amazing blocks you made this year! Love all of your bee blocks - I have joined my first bee starting next year so it is great to see so many lovely ideas for blocks! Love to see all those bee blocks! Wow! Those are a lot of fantastic blocks you've made. I can see why you'd want a bit of a break. Bees are so much fun, but they do take a fair bit of time. Fab collection of blocks there :o) I have to say that I'm quite happy that in 2 blocks time I'll be down to just one bee a month!